Every week, we bring you a must-hear track from the Le Guess Who? 2018 line-up. As the festival is getting closer and closer, we dive deeper and deeper into this year's worldly, prismatic line-up. 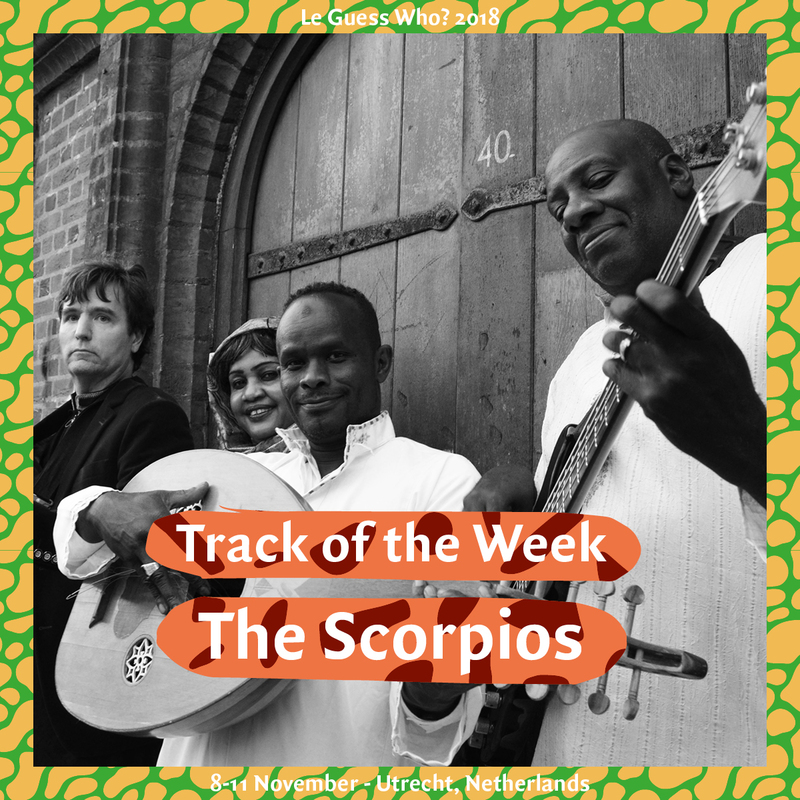 This week, we highlight the elated mix of Arabic rhythms, raw Eastern funk and vintage psychedelia of The Scorpios. In the summer of 2017, their self-titled debut LP was voted 'Album of the Week' by acclaimed DJ, label owner and notorious record collector Gilles Peterson. This year's follow up, the 7" single ‘Mashena/Samha’, is recorded at the legendary Abbey Road studios with the A-side being a highly infectious, upbeat track. Driven by a strong percussive foundation, this song features a colorful musical pallet which includes earworm flute melodies, a slick horn section and Regia Ishag's supreme vocals. This week's track was originally written by one of Sudan’s most popular singing groups Al-Balabil. However, Scorpios' rework uphold their monumental status, giving this classic a vigorous, futuristic update. The Scorpios performs at Le Guess Who? 2018 together with a.o. Art Ensemble of Chicago, Neneh Cherry, Kadri Gopalnath, Sons of Kemet XL, BCUC, Midori Takada, King Ayisoba, Hailu Mergia, Sourakata Koite, and many more.